Inside the Twister now has borders made from the original fabric that the block are made from. It measures 77″ by 84″. Next it gets quilted, but not until next week. This weekend I am at a quilt retreat. I’ll be hanging with my peeps, should be a blast! 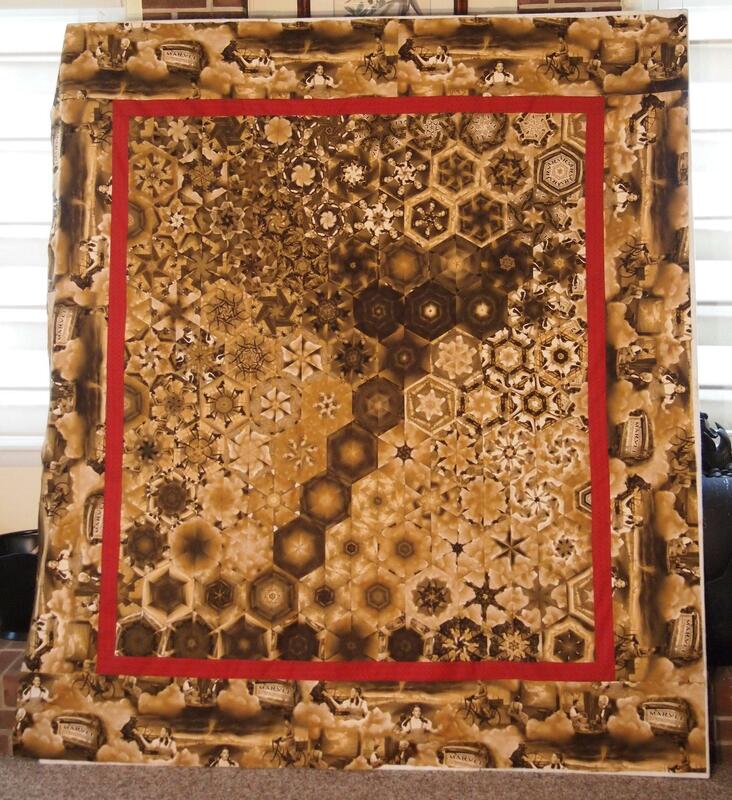 This entry was posted in Hexagon Quilts and tagged hexa, Wizard of Oz on September 20, 2012 by ifthesethreadscouldtalk.